If you are reading this, your website probably needs a redesign. Yes, you heard that right. Design of any kind is a highly competitive niche and you have to adjust your website as well as business techniques. If you haven’t changed the look of your site for a while or some of your competitors just have completed a rebranding, you have a short amount of time to jump higher than them and to stay afloat. The web space is overloaded with boring and standard designs, which were probably copied around a hundred times. Thus, you need something unique and functional in order to give your online presence a new spin. Have no time to create a new unique design? Maybe you are tight on a budget and don’t have room for additional expenses that can be spent on a web professional? That’s exactly the case when responsive and SEO-friendly WordPress themes come in handy. The sky’s the limit here. You can find a perfect template that has a look and feel, which was fitted exactly to the requirements of your niche. The first important step is choosing a reliable developer. Today we want to introduce you TemplateMonster, a tried-and-true template marketplace, which has been a leader in the industry for 15 years already. Since their early start, they have helped to build around 2,000,000 websites, boasting over 26,000 top-notch products in their collection. In case you are a developer yourself, this compilation is a godsend for you. Choose the designs which serve the needs of your clients and start building outstanding sites on the fly! Want to attract more clients? Prove a high level of your skills and knowledge by means of TemplateMonster’s Certification Center. To also let you know, all the themes shared below are mobile friendly and will help your website top the mobile friendly websites list easily. This trendy item is the first thing you need to purchase after starting an interior design business. Its modern design will add character to your website and will help to express your unique style. 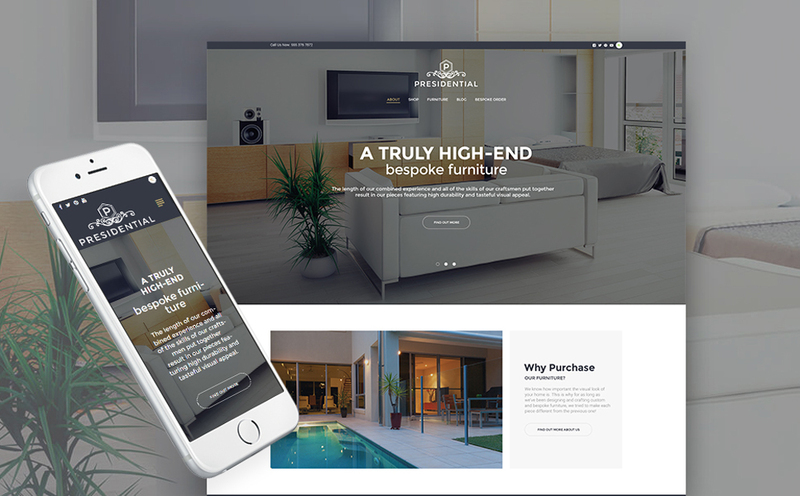 Download the Furniture Company WordPress Theme in order to enhance your online presence with Cherry Projects, Services, and a load of other handy tools! Although, this theme wasn’t created by TemplateMonster, we still wanted to share this stunning discovery with you. This minimalist theme is a great example of that moment when fewer details in a design mean more. 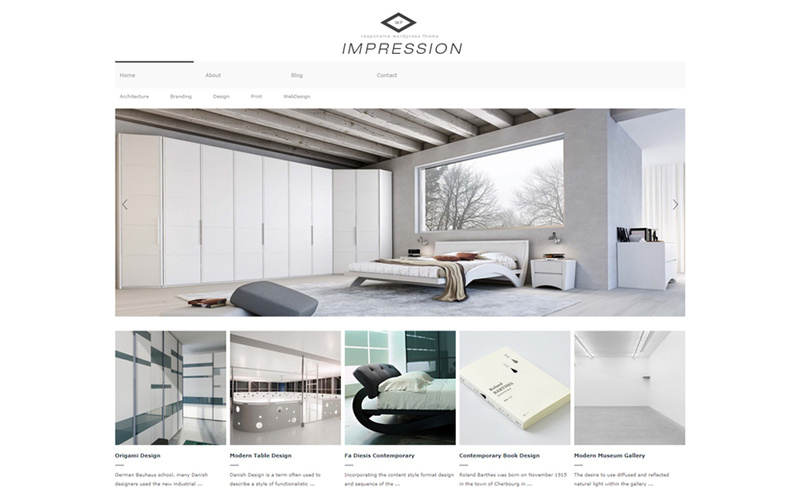 Grab the sleek Impression WordPress Theme, which will serve as a perfect background for the presentation of your best projects. 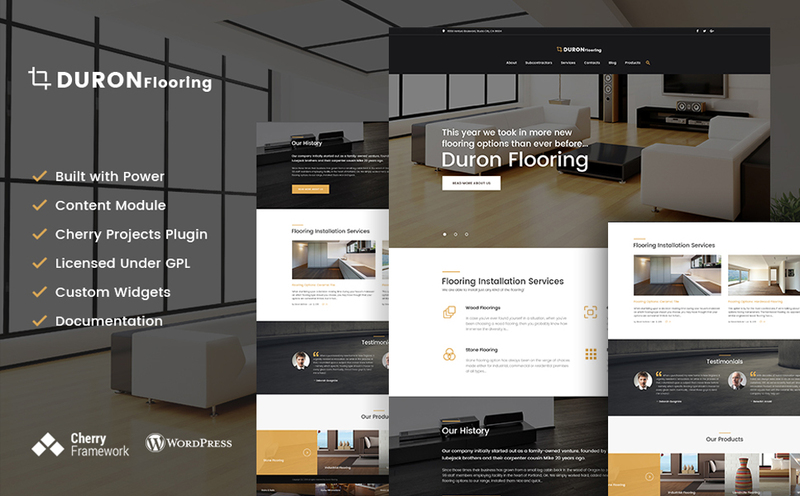 Crafted specifically for those who are passionate about architecture, this GPL theme will provide your interior design website with an eye-catching look and impressive feel. Absolutely mesmerized by a cool loading widget, visitors will land on your homepage, where they will be welcomed to learn more about your company by the responsive slider. 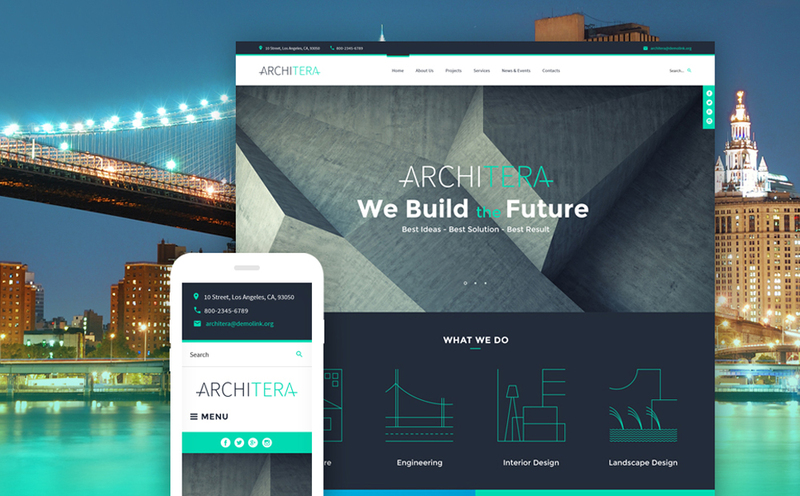 Consider Architecture Firm WordPress Theme, which comes with an Installation Wizard and launch your dream website in an instant. If you are looking for a black-and-white interface with an infinity of useful features, which can make your site stylish and highly functional, then Interior Designer Portfolio WordPress Theme is your match. 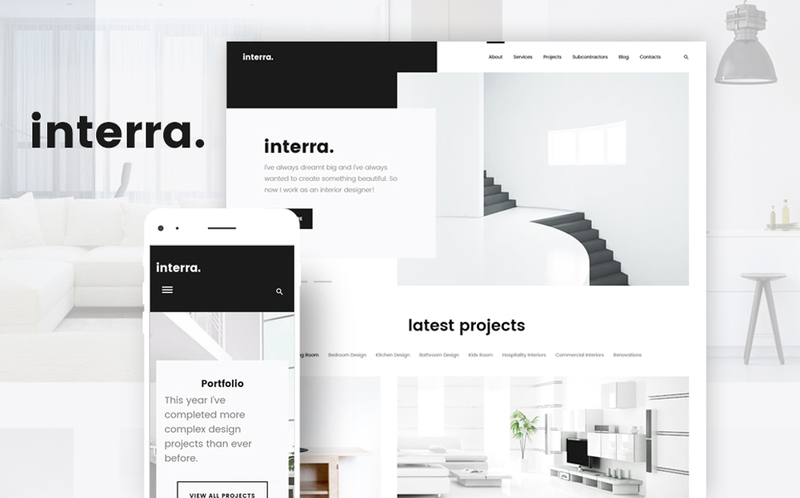 At the first glance, Interra can seem too simple and standard but don’t buy into it; dive deeper to explore it in detail and you will be impressed by the creative project presentation. Click on the demo to learn more about Interior Designer Portfolio WordPress Theme. Remodel is an ideal choice for those who want to create a brilliant image of their business on the web. A pack of UI elements and a number of pre-made layouts are available for you to display all the benefits of your design services for the target audience. 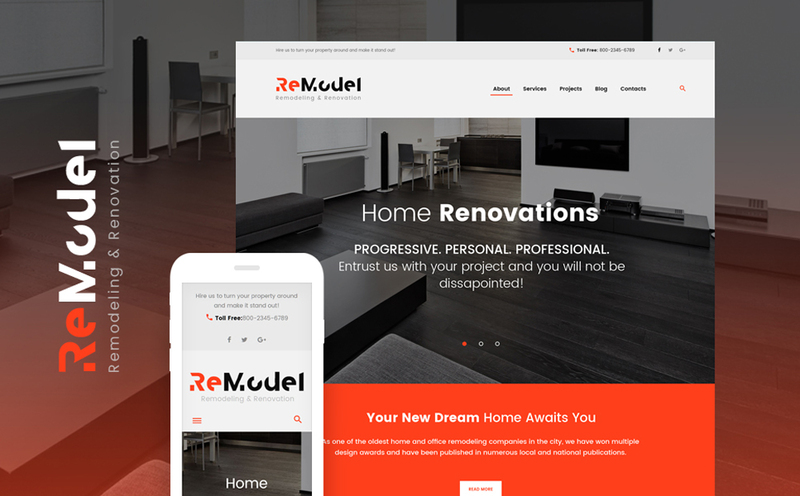 Take a close look at this Renovation & Interior Design WordPress Theme by means of the live demo. If you need a real implementation of an all-in-one theme, then Monstroid2 is your solution. It comes with 20+ niche skins and online store functionality, which means that you will be able to build an effective online presence for any kind of business. Power your website with this Multipurpose WordPress Theme. 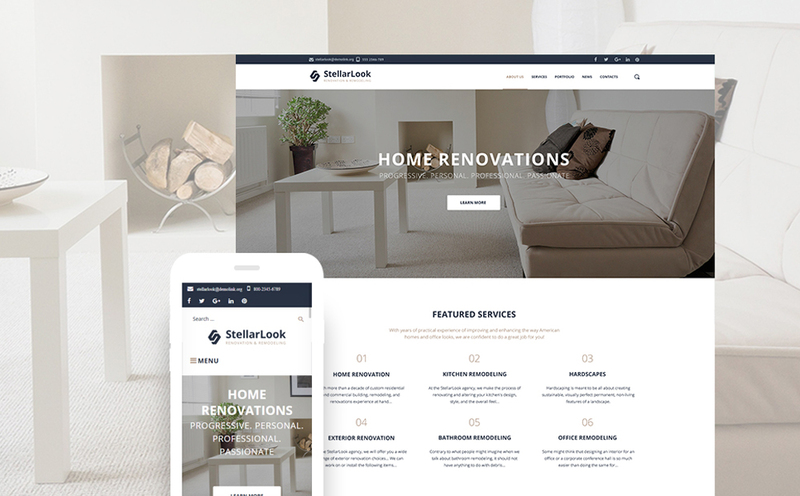 Stellarlook is a neat and beneficial way to take your design company online. Social options, content modules, eye-catching slider, coherent projects gallery, and a number of other attention triggers will raise your conversion. 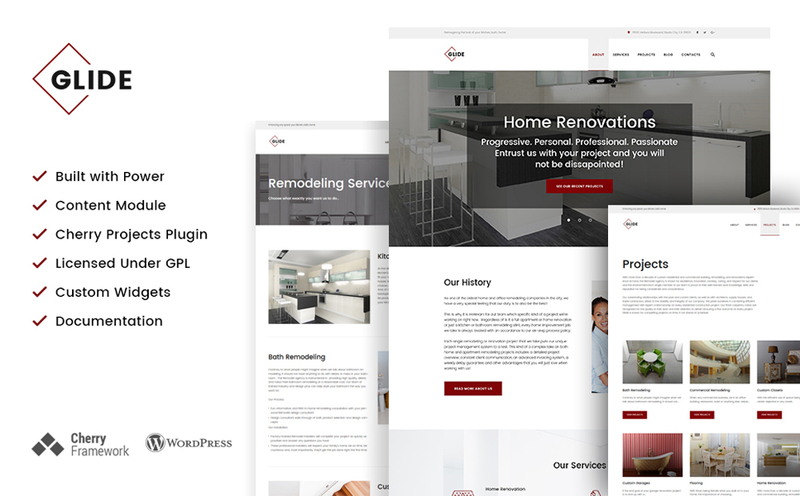 Grab GPL Renovation & Interior Design WordPress Theme to promote your business like a pro. The airy aesthetic of this WordPress theme will leave no one indifferent, visitors will be curious to browse your site and learn more about your company. The coolest thing about Presidental is that it not only has an impressive design, but also impeccable functionality and smooth navigation. What else do you have to expect from a perfect WordPress theme? User-friendly and thought-through, the Handmade Furniture & Interior Responsive WordPress Theme comes with portfolio and blog functionality. This theme gives you an opportunity to create an enthralling presentation of your services and raise visitor engagement. Also, you will be able to provide protected access by means of a password page to keep necessary things private. 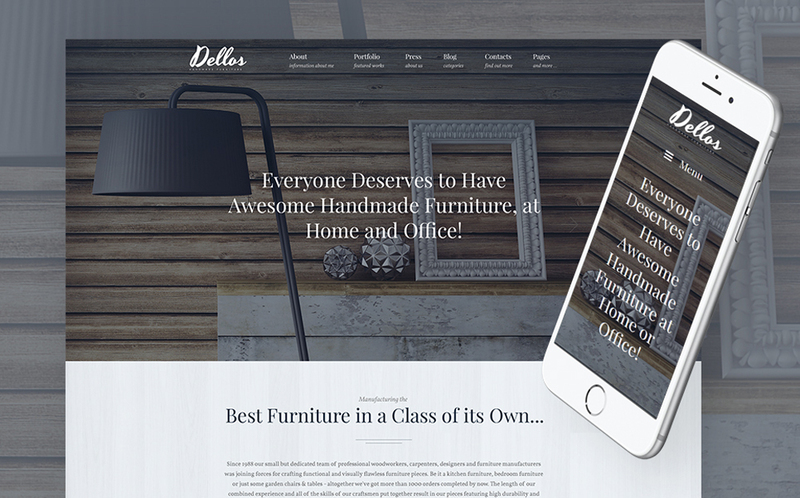 Enhance your website with Dellos WordPress Theme! 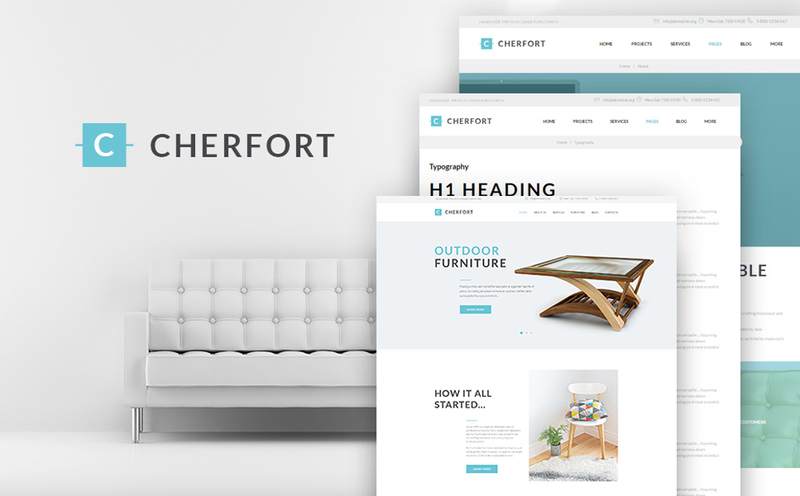 Powered by Cherry Framework 5 and Bootstrap 4, Furniture & Manufacturing Company WordPress Theme has fully adaptive and flexible nature. It can be easily edited by means of Power Page Builder in a drag-and-drop mode. 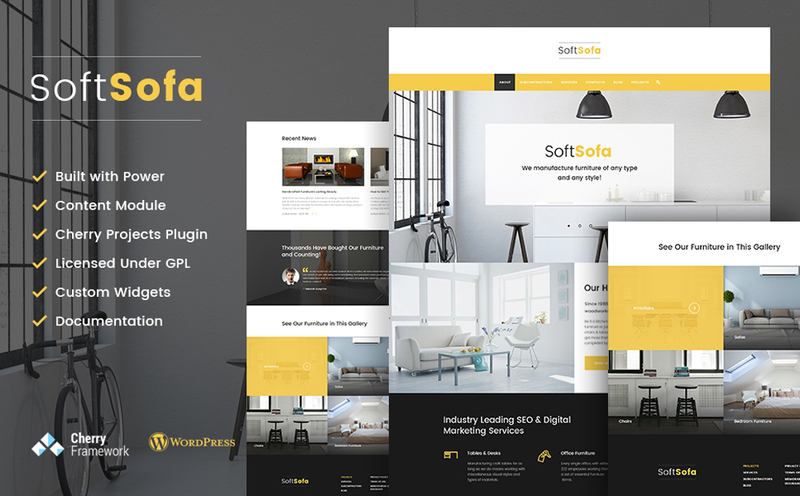 Take full control over your online presence with SoftSofa WordPress Theme. The clean and user-friendly Glide WordPress theme has a fully customizable look and feel. You will able to play around with multiple header and footer options, a pack of Cherry Plugins, content modules, various post types and formats, and other handy UI elements. Click on the demo to find out all the details. Modern-looking DuronFlooring will help you to breathe new life in your site. Thanks to detailed documentation, the setup, customization, and launching of the website can be completed on the fly. In case you have other questions, you can address them to 24/7 lifetime support. 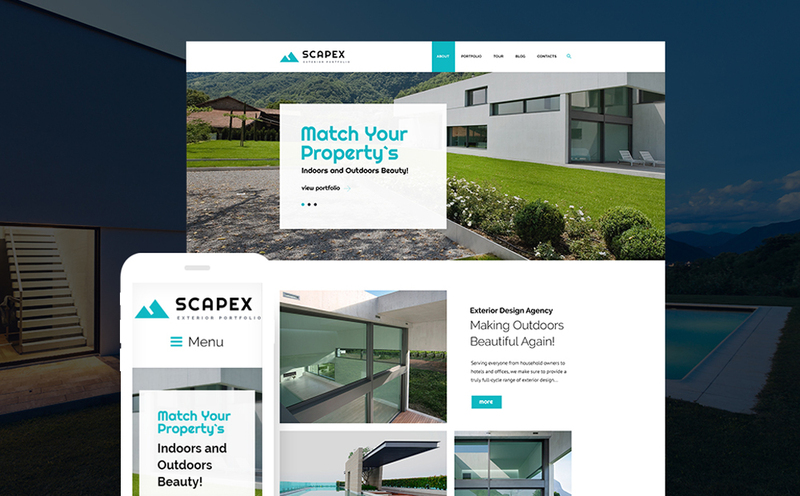 Scapex WordPress Theme is a great solution for those who want to build a professional-looking and profitable site for their company. Take advantage of portfolio functionality to create a fully-fledged gallery of your services. Loaded with Team, Blog, and other pre-made pages, Exterior Designer Portfolio WordPress Theme will be a beneficial business investment. This fully optimized template is all you need to spread the word about your design company on the web. Video integration, Accordion, Carousel, and Isotope sliders are available for you to display your content in a triggering way. 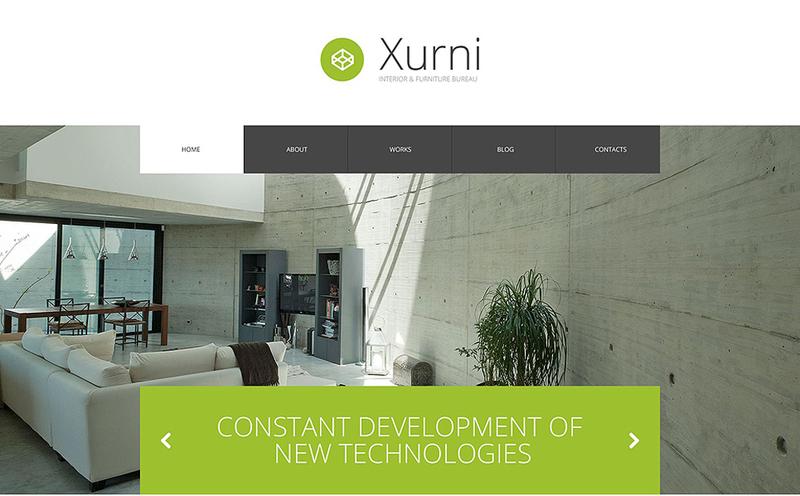 Consider SEO-friendly, cross-browser compatible, and WPML-ready Xurni WordPress Theme in order to tell the whole world about your services. Let me repeat the main idea for you. Need to restyle the website of your interior design services? The best choice would be fully editable and user-friendly WordPress theme developed by TemplateMonster. Basically, they are capable enough to satisfy the needs of almost everyone. From a CEO to coder, from your janitor to designer, everyone will be able to set up, customize, and launch the site of their dreams using these templates. Not kidding here, thanks to an intuitive admin panel, drag-and-drop page builder, and WordPress Live Customizer, even your kid can build a cool site! 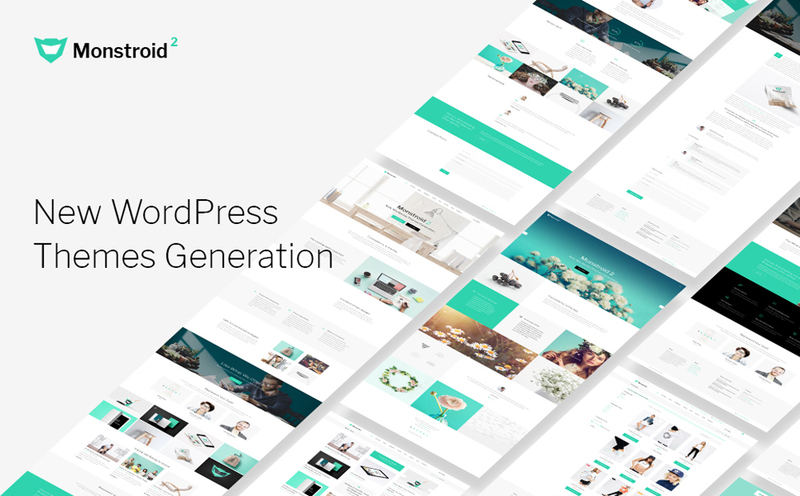 Dive into the live demo preview of the WordPress theme that appeals most to you and sees for yourself!